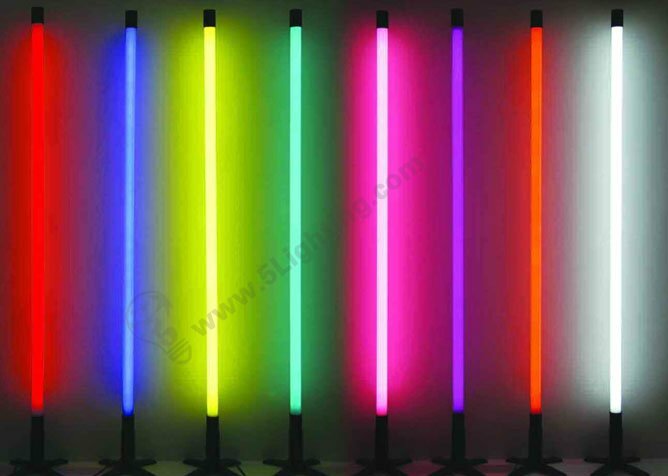 Colorful LED tube lights is environments friendly, no mercury comparing fluorescent tubes . this red / green / blue led tube t5 are absolutely compatible for traditon ones . Solid colorful t5 tubes with nano technology, it’s sturdy and not easy broken comparing glass tubes . Anti glaring , no twinkle leds is eye protective for our t5 RGB tube lighting . More efficiency, long life , four times energy saving, durable … comparing fluorescent lamps .